The duo of Biafran journalists Egwuatu Chuks and Prince Dan have been arrested by the Nigerian Police while covering the boycott of the local government election in Enugu. These journalists for Family Writers Press were first-hand witnesses to the bomb explosion that rocked a polling unit at the Coal Camp area of the state. They made contact with their Editor, sending pictures and reporting the bomb explosion but lost contact few hours later till now. Information reveals that they were arrested and currently detained at the headquarters of Enugu State Special Anti-Robbery Squad, they are being isolated from legal representative, family and friends. 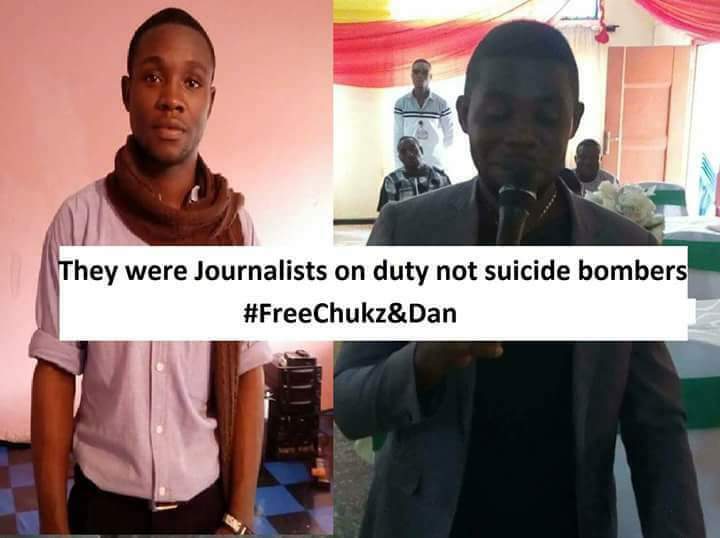 The Nigeria Police is accusing these journalists as the mastermind of the bomb explosion at the polling unit even as report revealed that policemen and other security forces were at the scene of explosion and left few minutes before the bomb went off. 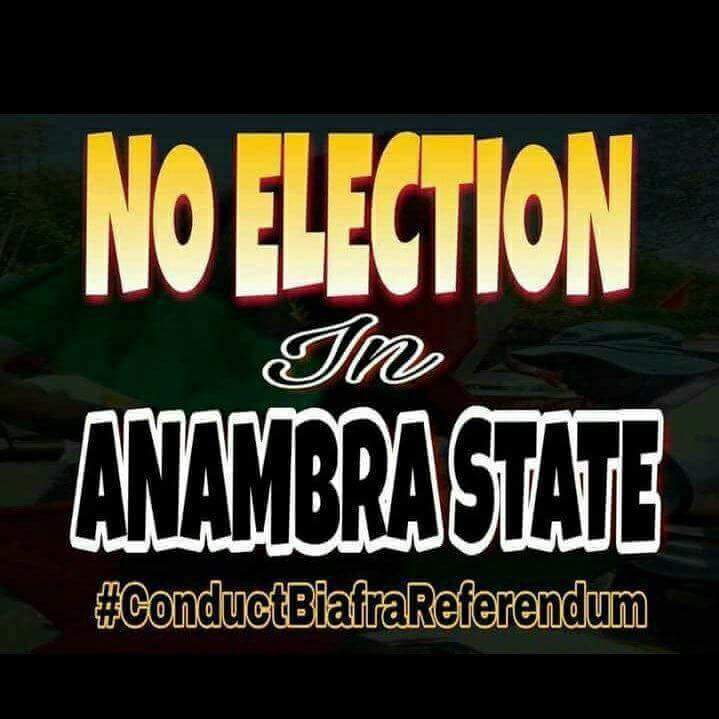 The unit of security operatives seen at the scene at the Coal Camp polling unit is suspected to have planted the bomb so as to propagate the falsehood of accusing IPOB for the explosion. Without proper investigation, the Nigeria police is in a hurry to justify the designation of IPOB as a terrorist group, is already parading the arrested Biafran journalists as suspects responsible for the bomb explosion to the Nigeria media. The Muhammadu Buhari led Nigeria government has never hidden its disdain for the people of Biafra especially those sympathetic to the clamor for the right to Self-determination as enshrined in the United Nations Charter. The designation of IPOB as a terrorist organization has not in any way dwindled the clamor for the restoration of Biafra making the Nigeria government to intensify the hunt for journalists and bloggers disseminating news and information relating to the struggle. As the bill to regulate the use of social media in the country is under process in the National Assembly, the Nigeria government has begun to secretly shut down online newspapers, blogs and websites perceived to constitute “threat to national security”, a move purposely directed against the Biafra people. The government of Buhari through the Nigerian Communication Commission (NCC), has engaged the service of hackers and telecom firms with the aim to consistently attack and block websites identified to be engaging in reporting affairs threatening the unity of the country. It is ridiculous that the Nigeria government is advising the Spanish government to dialogue with the Catalonians who are seeking independence from Spain but clamping down on Biafrans seeking same right in Nigeria. The hypocrisy of the Buhari administration is never in doubt as he has vocally called for the respect of the right to Self-determination for the people of Palestine and Western Sahara but the Nigeria security forces are busy perpetrating extra judicial violence and killing against the people of Biafra. The international community must prevail on the Nigeria government to act civil towards the people of Biafra because violence has no monopoly. Biafra is an ideology that can never be defeated by force or violence. The Nigeria government must release the arrested journalists and other detained Biafrans in various detention centers in the country because they have not committed any crime but seeking the right to Self-determination enshrined in the United Nations Charter.